Paying up to $2000 for certain Croft cans in top condition. 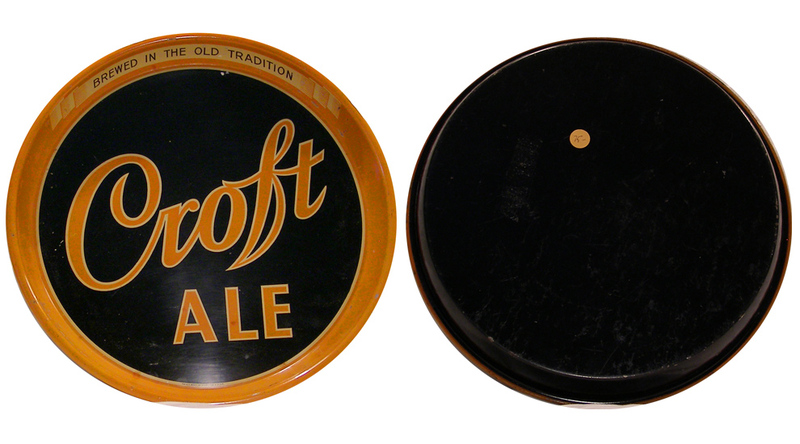 interested in buying vintage Croft Ale and Beer Cans! If you’re selling please contact me. Croft Beer and Ale Cans Wanted! 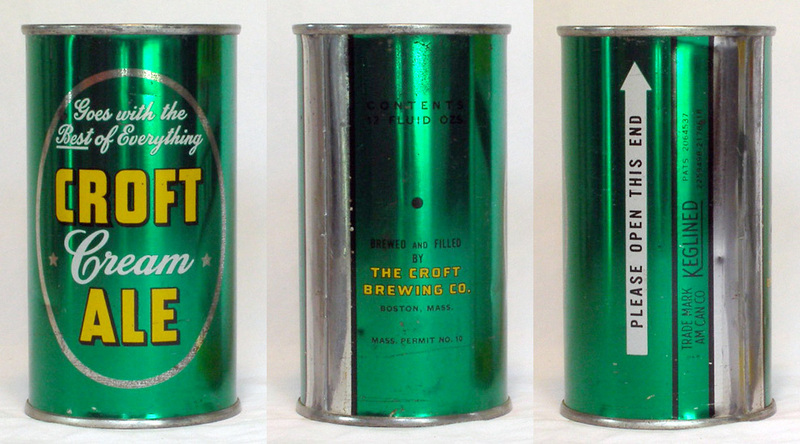 The Croft Brewing Company of Boston, Massachusetts marketed many brands in beer cans: Croft Cream Ale, Croft All Malt Ale, Red Label Ale, Stock Ale, and Pilgrim Ale. Cream Ale came in many can sizes and designs as it was canned from about 1936 until the brewery was purchased by Narragansett in 1952. Beer can designs include 12 oz flat tops with and without opening instructons, quart cone tops and a rare quart flat top. 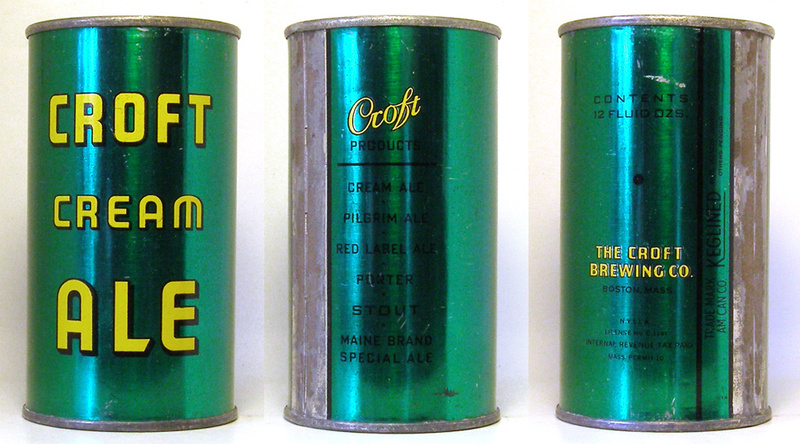 All Malt was available in flat top and quart cone top beer cans; Red Label Ale in only a flat top. Stock Ale was canned in 12 oz. flat and cone tops, the former considered very rare. It was also packaged in a quart cone top. Pilgrim Ale was marketed in beer cans in two different flat top designs, one with opening instructions, one without. Both are very rare. After 1952 the lone surviving Ale product was re-branded successively as Champion Ale, Banquet Ale and simply Ale. Canning ceased about 1965. 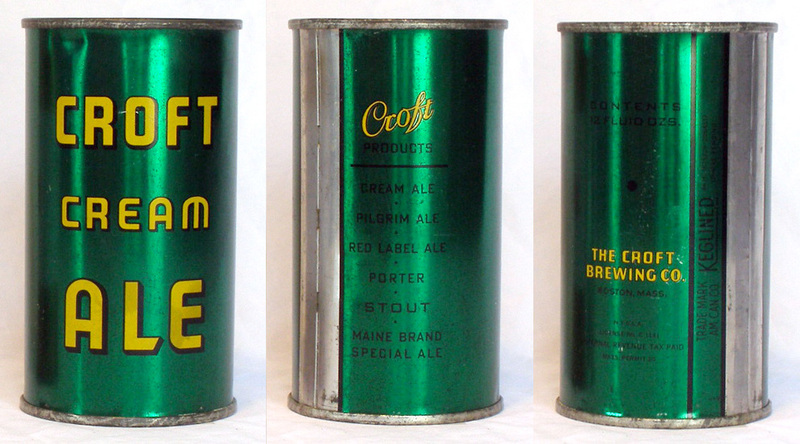 Croft was one of the few breweries to begin operations after Phobibition as an entirely new business in 1934. As such, they had modern equipment, no legacy brand or advertising materials, and fully embraced the new concept of canned beer. To establish themselves, they produced a lot of advertising. Their simple, bright green and yellow art deco motif of the thirties and forties is a hallmark of New England advertising of the times. 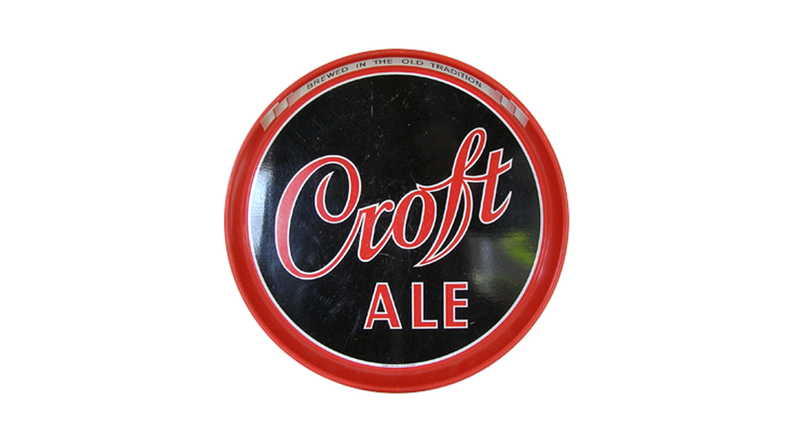 Besides cans, Croft produced a wide variety of signs, several trays, coasters, tap knobs, print advertising, clocks and more. Another brand they marketed in the 1930s but never canned was Maine Brand Special Ale. It was not widely promoted and there is little advertising for it. Their downfall began when a bad batch of Cream Ale got out, a blunder from which they were never able to recover, and which prompted their sale to Narragansett. Shortly after, Narragansett renamed ‘Cream’ ale as ‘Banquet’ ale, and changed the can design. They produced Croft until the mid 1960s.